Professor Anthony Hannan received his undergraduate training and PhD from the University of Sydney. He was then awarded the Australian Nuffield Medical Fellowship to pursue postdoctoral neuroscience research at the University of Oxford, where he subsequently held other positions. He returned to Australia on an NHMRC RD Wright Career Development Fellowship to establish his laboratory at the Florey Institute in Melbourne. He currently holds an ARC Future Fellowship (FT3) and an Honorary NHMRC Senior Research Fellowship. 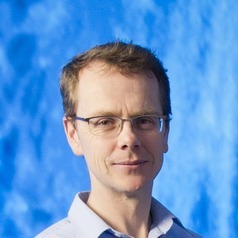 Professor Hannan is head of Neural Plasticity, Florey Institute of Neuroscience and Mental Health, with laboratories located in the Melbourne Brain Centre, University of Melbourne. His laboratory investigates gene-environment interactions and experience-dependent plasticity in the healthy and diseased brain, using a variety of molecular, cellular and behavioural approaches. This research at the Florey is aimed at understanding disease mechanisms to facilitate the development of new therapeutic approaches for brain disorders such as Huntington's disease, depression, dementia, autism and schizophrenia.